About 13·7 billion years ago, so science would currently have us believe, Time began with a Big Bang. As for me, time began in the middle of the Second World War - also with a big bang. It was the sharp hollow crack of a German bomb - a sound that no recording device could ever reproduce with adequate realism - the sound of malevolence dancing on the window sill behind the thick blackout curtain, as I stood bolt upright in my cot. These two great events: the beginning of the universe, and the beginning of my conscious experience within it, evoke an important contrast. The first reminds me that the universe is of immense size and unimaginable age, and that it existed before me and will continue to exist after me. The second reminds me that my life is a fleeting window in time and space through which I may play some small role within it for a season. Nature and conscience both decree that part of that role has to be to fulfil my natural obligation to provide myself - and those for whom I am responsible - with the basic needs of life. To this end I am able and willing to work. And I have worked. I have worked very long and hard. Yet I have never been rich. In fact I am now very poor. This persuades me that, though it be a necessary ingredient, work by itself cannot make wealth. Labour alone cannot synthesise food. Neither can it create the materials for clothing and shelter. To survive and prosper on this planet, each human being needs some external means to transform his labour into his needs of life. I arrived on this earth with nothing. I owned no means of transforming my labour into my needs of life. Neither did I own anything that I could exchange for such means. The only way I could have gained them was for them to have been given to me as a free and undeserved birthright. But like the overwhelming majority of mankind, I never received any such inheritance. In order to survive, I am therefore forced to sell my labour to those few who did. Yet they have no obligation to buy my labour, and they will do so only if, and for as long as, they perceive themselves to have need of it. Why, unlike them, did I not inherit a fair share of those means? 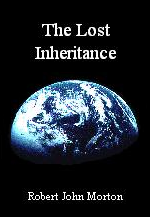 Was my inheritance stolen from me before I was born? If so, who stole it? Where is it now? How may it be restored to those who will follow after me? Why is there such a vast and seemingly unfair disparity in wealth and well-being among the human inhabitants of this planet? This book is my quest for the answers to these questions. It is therefore of necessity a book about the human society in which I find myself, as seen from the place where its resident forces have positioned me within it. Although the book practically assassinates human society as it exists, it does have a happy ending. The early chapters may seem depressing, but they are merely a prelude to my vision of what might be a better way. As a sentient being, I have a self-evident inalienable right to life. My life as a sentient being depends, for its existence and continuance, on the function of my physical body. My physical body is a fully-dependent subsystem of the Earth's biosphere. It requires continuous sustenance from the Earth in order to maintain its function. The needs that sustain physical human life are acquired by applying human labour to the Earth's biosphere. Through this means, the socio-economic systems of the world provide needs of human life adequate for all humanity. But all human beings do not receive their adequate needs of life. Throughout most of my 70 years on this planet, I have not received my adequate needs of life. Why? Is it because I am work-shy? Is it because I am the lazy good-for-nothing layabout that the politicians of my country label me? No. The reason is that I live under the yoke of a regime that upholds a system of law which facilitates and enforces the ordered and peaceful containment and exploitation of the poor by the rich. The rich are few. The poor are many. The rich own the Earth and will grant access to it only for so many of the poor as are needed to provide wealth for the rich and survival for those of the poor whose labour they need from time to time. The rest of the poor are denied access to the terrestrial resources they need to turn their labour into their needs of life. To avoid social insurrection, the regime of the rich condescendingly provides a puny welfare system, labelling its dependants as social parasites who sponge off those of the poor to whom the rich have granted the privilege of work. To, freely and without encumbrance, apply my labour, directly to my fair share of the planet on which I was born, for the purpose of sustaining my physical life and fulfilling my sentient needs. My fair share, as one of the 7 billion human inhabitants of this planet, would be 2 hectares of habitable land. I do not propose that I should necessarily become a smallholder farmer with my separately fenced-off 2-hectare lot. Notwithstanding, I should, by right of birth, have the allodial ownership of the full economic potential of a generic 2 hectares worth of this planet's habitable land. Getting from the convoluted oppressive mess of the present to the alternative that I envisage is a very long journey. It involved me in a gargantuan systemic transform­ation of my world-view. That is why this book, with all its footnote articles, is so ext­ensive. Chapter 1 describes my past career and its demise. This is just to convey the context from within which my quest was launched. Chapters 2 and 3 expound the necessarily relativistic nature of my view and a fundamental obstacle to its accurate communication. Chapters 4, 5, 6 and 7 describe the four aspects of my experience of living on welfare for 13 years in the United Kingdom during the 1990s and beyond. Chapter 8 uses the microcosm of my former extended family to illustrate the behaviour that the present world order exhibits towards the generic individual. Chapters 9, 10 and 11 progressively crystallize an abstract model of history leading up to the present global chaos. Chapter 12 ultimately proposes what I think may be a better way of regul­ating human affairs by delivering a more equitable way of life to each of us. The Epilogue wishfully explores what steps could be taken in this present world to start the long journey to a better society. I do not consider the views I have expressed herein to be in any way omnipotent or absolute. All of that which follows in this book is purely my opinion, based upon my own observations and analyses of my experiences. I am profoundly aware of the fallibility of my human perception. The contrast between the two Great Events above convinces me that the way I see the world cannot be the way it appears to everybody. Like everybody else, I can see the world only from one point of view, and only through my restricted human senses. I can interpret it only in terms of my own narrow vista of experience, which also unavoidably limits my ability to understand what others say and write about it. Science recognises that observation can never be perfect, even in theory. Nothing can be seen from every angle at every instant, and the very act of observing does itself alter that which is observed. On the other hand, society behaves towards, and hence affects, each individual differently according to that individual's position and status within it. It therefore not only appears different to each of us, but in fact is different. Hence every different view is equally true. So, if to some my view is cred­ible, I rejoice. If to others I appear a crank, then so be it. If I cause offence, I cannot apologise because what I have written is an honest and considered analysis. This book is not for the closed implacable minds of contemporary mainstream Britain, imprisoned as it is within the callous opinions of capitalist journalism, which soothingly appeases the social conscience in the face of the unjustifiable disparity and poverty in its midst. This book is for open minds elsewhere in the world and elsewhen in the future - but perhaps even now still for a precious remnant of think­ing people within Britain itself.